NCI organised a workshop to encourage greater interdisciplinary working and knowledge exchange between economists and ecologists, with the goal of informing public policy. The chosen case study theme was sustainable agriculture. The event involved a total of around 50 ecologists and economists, all of whom recognised experts in their particular fields of research, policy advice or the practical application of knowledge. Please contact secretariat@naturalcapitalinitiative.org.uk if you have any questions. This workshop follows-on from a key message of the Valuing our Life Support Systems Symposium, that economic and environmental considerations should not be separated. 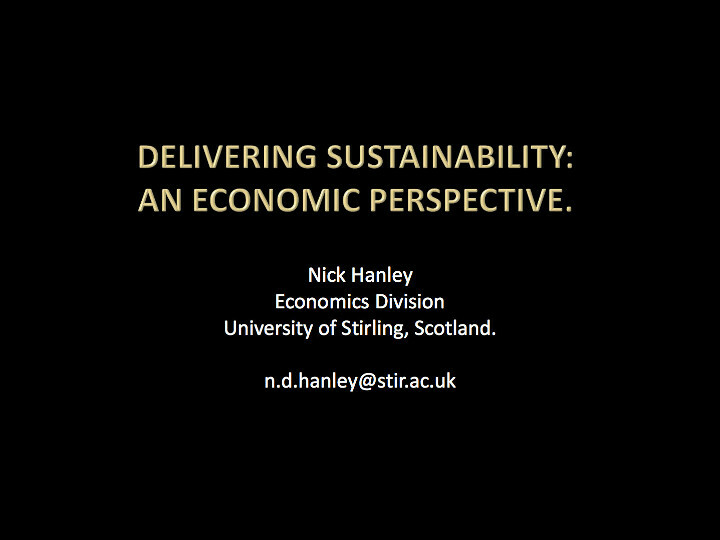 The Natural Capital Initiative partnered with the Agricultural Economics Society to deliver this follow-up session at the British Ecological Society’s Annual Meeting. The aim of the session was to encourage dialogue between disciplines on economically and functionally effective approaches to incentivising the uptake of sustainable agriculture across the UK. Environmental economists were invited to set out their approaches for valuing and incentivising the management of biodiversity and ecosystem services for farmland. The aim of the session was to inform ecologists of some of the approaches and thinking adopted by economists in handling problems of sustainability. Ecologists were also invited to highlight the essential features of environmentally resilient agro-ecosytems. Presentations from the event and a short report will be available shortly.